If you use the Internet for your business, you need to adequately protect both your site and transactions between your business and your customers. HyperGrid helps you securing your network, your digital identity, your information and communication channels that connect you with the market. Everything we offer in this eShop is available in self-service mode and is activated within 60 seconds after your request has been issued. By purchasing an SSL certificate, you can effectively protect your communications with your target audience, building a trustful relationship through interactions in which confidentiality and identity of the counterparts are guaranteed. HyperGrid can help in the installation and configuration of your security systems. 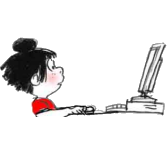 The typical e-mail that we use every day is based on a technology very useful but highly insecure. By associating a Digital ID to your e-mail, you can send messages to your contacts protecting your transactions from identity theft and being sure that your message has not been changed while it was traveling throughout the network. 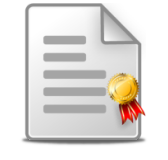 Certified Electronic Mail allows you to send emails that have the same legal value as a registered letter with acknowledgment of receipt sent by a regular Post Office. HyperGrid can give you a certified mailbox @hyperpec.it and help in the necessary configuration steps. 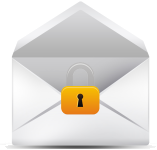 If you are looking for a mailbox reliable and secure, with advanced features, HyperGrid can offer you a personal mailbox on the hypermail.it domain, accessible anywhere via WebMail or common mail clients. If you are a Company interested in buying multiple mailboxes with a customized domain, discover our offering. Customize your website address and the name of the associated mailbox with your name or the name of your Company. HyperGrid gives you the necessary assistance and a dashboard for managing DNS of your new domain. Customizing the domain name is equivalent to reinforce the brand: it will be easier to remember your address, find you and do business with you. 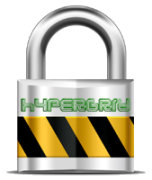 HyperFilter is an innovative service, created by HyperGrid in order to protect the PCs of its users during all operations online. it automatically prevents access to Internet resources whose contents are considered inappropriate or harmful, thus limiting the risk that you may come in contact with various types of malicious software.